As was the case this time (approx) last week, a big fight has been announced on the very day another big fight will be fought. Last Saturday, in the early hours, Floyd Mayweather tried his best to upstage the Canelo Alvarez-Gennady Golovkin rematch by announcing how he and fellow superstar Manny Pacquiao had agreed to a rematch. While today – possibly in an attempt to steal some of the limelight from tonight’s Anthony Joshua-Alexander Povetkin fight, possibly not – promoter Frank Warren has announced the official date for the hugely intriguing Deontay Wilder-Tyson Fury clash. December 1st is the confirmed date for the WBC heavyweight title fight and we now awaiting confirmation of the venue (The Staples Centre in Los Angeles seems to be the current frontrunner). So has the announcement of Wilder Vs. Fury took your mind off tonight’s Joshua Vs. Povetkin fight, even just a little? Is your boxing fan brain now churning up thoughts and notions regarding what will actually happen when these two unbeaten and more than a touch controversial big men climb into the ring and go to war? Are you now struggling to fully focus on tonight’s Wembley rumble? In truth, tonight’s fight is a good and solid fight, one that AJ simply had to take if he wanted to keep hold of his WBA belt, Povetkin of course being the WBA mandatory challenger. But we know who will win, don’t we? Yes there is always the chance an upset could take place – this is the heavyweight division after all – but barring that, Joshua will get the victory and reach 22-0 as a professional. Perhaps the biggest question going into tonight’s fight is, will Joshua be able to score a KO? But with the December 1st Wilder-Fury collision, we have a veritable ton of questions to ask, not least who will actually win? 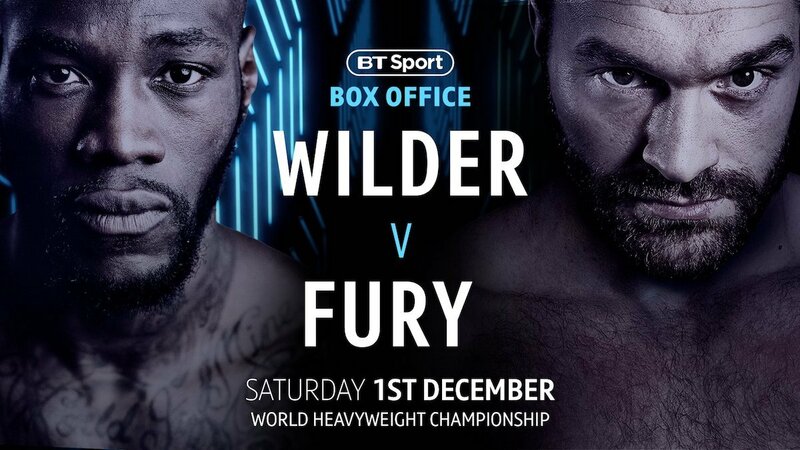 Some say the wickedly powerful Wilder will be too much for a Fury who had had just two bouts, two wins, in almost three years. While others still say the “raw” and “crude” Wilder will have his ears boxed off by the slicker, cleverer Fury. It really is a fascinating fight, and a good case, a great case, can be made for either man winning. Fans of the heavyweight division are enjoying themselves right now. We have tonight’s fight, we will have Wilder-Fury, we should have Dillian Whyte-Dereck Chisora II, and maybe Jarrell Miller and one or two other guys could feature in biggish fights before the end of the year. Then, next year, hopefully, we will have the BIG ONE: the Wilder-Fury winner against Joshua for all the heavyweight marbles. Good times indeed and fights everyone can look forward to. In fact, December as a whole looks like being one immense week of boxing, in a number of weight divisions: we will have Wilder-Fury on Dec. 1st, Vasyl Lomachenko-Jose Pedraza in a lightweight unification fight on Dec. 8th, very possibly Canelo’s return (maybe against David Lemieux) on Dec. 15th, Chisora-Whyte II (maybe) and also Carl Frampton-Josh Warrington on Dec. 22. And also, Floyd Mayweather is said to have “something big” in the works for New Year’s Eve in Japan. Christmas could prove to be a knockout for all fight fans this year. You are here: Home / Boxing News / So Which Fight Are You Looking Forward To Most: Joshua v Povetkin Or Wilder v Fury?